It is hosted by Atls-lb (England, Leeds,) using Apache/2 web server. Its 2 nameservers are ns.123-reg.co.uk, and ns2.123-reg.co.uk. 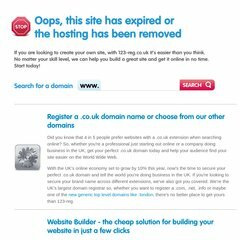 Aloenatural.co.uk's server IP number is 94.136.40.180. PING www. (94.136.40.180) 56(84) bytes of data.